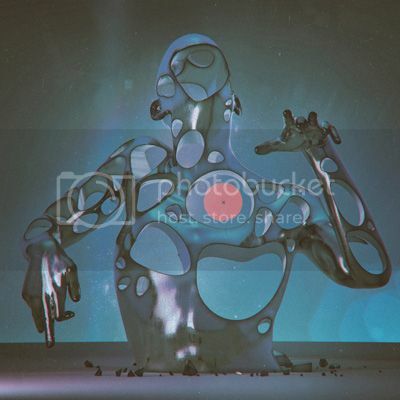 ENTROPIA from fraction on Vimeo. Entropia is the last immersive audio visual performance created by Fraction and his mates that explores spatial interaction between sound, physical light and 360° visuals. Fraction and Louis Philippe St-Arnault, who designed the sphere, are about to present a serie of shows at different festival in Europe this september, and in different format that will allow to live differently the experience : full dome at Gogbot festival, in a typical theatre at MEQ/ISI festival, and in a church down in Paris. Meanwhile, Fraction will release Planète Humaine EP on October 5. This is the first experimental studio recording of Fraction since the release of Superposition in 2008. These 5 tracks are a complete reboot of his sound palette as much as a gathering of the metaphysic themes explored in his latest installations (Entropia, Dromos, Obe…). Entropia is an immersive performance, initiated by the work of Fraction on 3D spatial sound and joined by visual artists Louis-Philippe St-Arnault, Nature Graphique and Creation Ex Nihilo to create an intense sensory experience, based on the synergy between the surround sound, direct light of a physical object and projections 360. It consists of a geodesic sphere placed in the center of the performance space whose visual mapping is synchronized to the sound and maintains constant interaction with the projection of immersive visuels on the exterior walls. 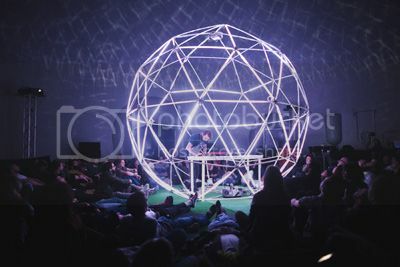 Sound artist stands inside the sphere and performs live spatial sound using custom programs specially developed for the work. The public, placed around the sphere like for a ritual, take body with the spatiality of the place and attends a performance ‘total’. The entire space becomes the performance ground, overwhelming audience in an unconventional sensorial experience. Literally, Entropia comes from greek etymology ?ντροπ?α which means « transformation». It characterizes the degree of disorganization or lack of a information on a system. More precisely, in thermodynamics, while the first principle is a principle of conservation of energy, the second principle, is the principle of evolution. It states that any real transformation occurs with inevitable increase in global disorder; disorder measured by entropy. This law involves several questionings for our own civilisation progress and our duty to necessarily think of a sustainable development.